Insect follows Cermbycidae family, and Coleoptera order. Size is between 5-8 mm, yellowish brown, and nocturnal. It was found in Doha Ziziphus. Larvas dig inside tree branches. 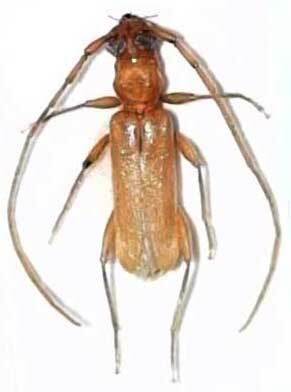 Adults have unique long antennas.